On an unremarkable day back in September 2016, Labour leader Jeremy Corbyn stood on the banks of the River Mersey, arms held above his head attempting to imitate the man he was about to draw upon, and quoted not Marx or Locke, but Shankly – A man of the people. “Let’s do it in the spirit of Shankly, who said: ‘The socialism I believe in, is everybody working for the same goal and everybody having a share in the rewards,” roared Corbyn to rapturous applause. The decision to quote Shankly in Liverpool was hardly surprising, however, it showed that his words continue to resonate even today. So, with this in mind, we thought we’d take a closer look at some of Shankly’s best quotes and his relationship with socialism. Described by his grandson Chris Carline as a “social whirlwind who loved being around people,” Shankly was known for his liberal views. “He made the people happy” says his statue, and that he did. In a city underfunded and undervalued, Shankly truly was a man of the people. Ray Clemence remembered of times when Liverpool fans would be on on the same train as the team who were returning from away matches. 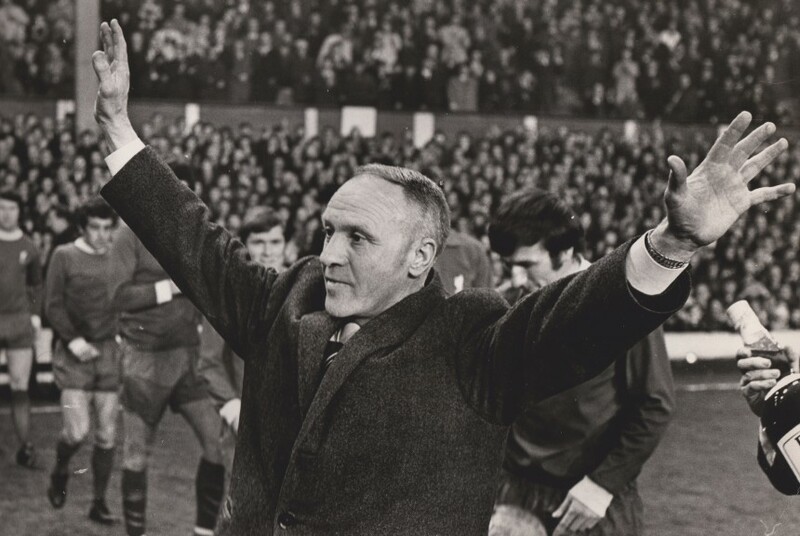 Several of the fans had not bought tickets but, when the inspector came up the walkway, Shankly would put his hand in his pocket and pay for the fans’ tickets because he knew just how important they were to the club. Stories of Shankly showing up at events and mingling with fans are legendary in a city, nonetheless, that makes legends out of mortals. That said, Shankly needed the fans as much as they needed him – and both were entwined and inextricably linked to politics. There are so many examples of Shankly being kind and helpful. He would reply to letters from fans on a regular basis, give out tickets to matches – he was even seen carrying shopping for the elderly around West Derby. These genuine acts of kindness epitomise his belief in socialism. One moment that cements Shankly’s status as a man of the people is the 1971 FA Cup Final in which Liverpool lost 2-1 to Arsenal. Here, Shankly makes important use of the words “you” and “our” in service of the socialist imagine he sought to represent. As a man of the people, Shankly had the power to summarise moments of mass elation and to entertain a crowd with his words. Shankly himself once professed that he was a man of the people, exclaiming: “I’m a people’s man. Only the people matter,” in reply to the familiar chant: “Shankly is our king” – however, if there was one man never to be king, it was Shankly: a stark socialist. This message shows that Shankly truly understood Liverpool and for that, he truly was, a man of the people. Rejoice in some of Shankly’s best ever speeches in the stunning Shankly Hotel. 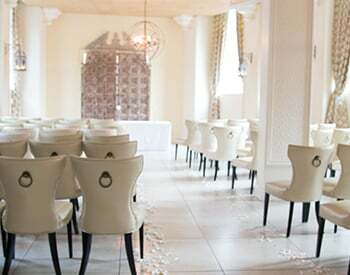 Immerse yourself in the beauty of the hotel while also making the most of the delicious Bastion Bar and Restaurant. Plus, in the spirt of Liverpool’s iconic leader, Lawrence Kenwright who, like Shankly, is also a man of the people, is offering anyone who joins the labour party a complimentary three course dinner at The Shankly Hotel. Keep up to date with everything going on at the hotel by following The Shankly Hotel Facebook Page as we gear up to star in our very own BBC documentary. Before Shankly was a red he was a blue. Now before everyone gets annoyed and angry, Shank’s was never a proper blue, he was never an Evertonian – although he did come extremely close to managing Everton in 1977. No, the blue in question is that of Carlisle United. Had the iconic Scotsman never donned the electric blue strip of Carlisle United in 1932 or managed the club in 1949, he may never had joined his beloved Liverpool. But what of his first Love? – and we don’t mean Nessie. From his first forays into management to his resignation, here’s how the world’s most famous red was once a staunch blue. It was with a certain initial reluctance that Shankly moved into management for he was convinced that he had more to offer as a player. 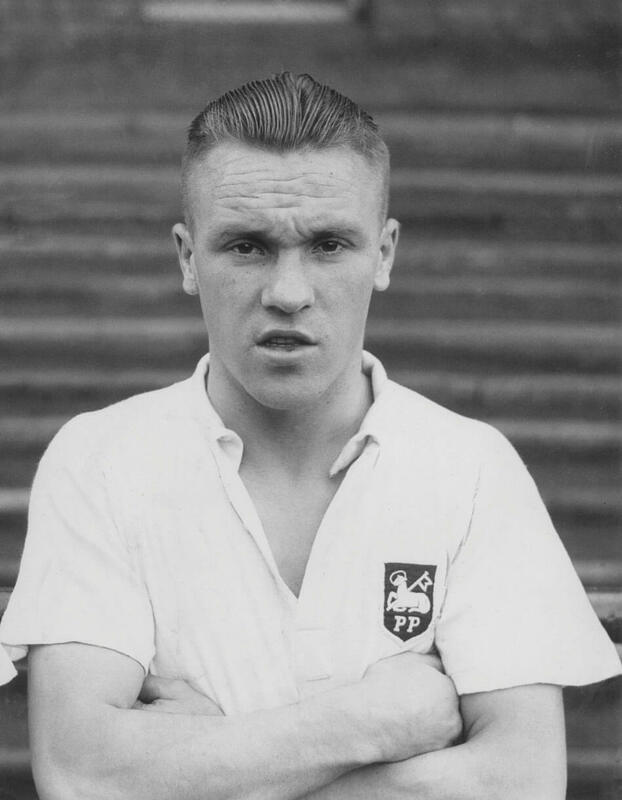 Nevertheless, the 35-year-old masseur took the Carlisle United job in 1949 and thus, Shankly the manager was born. 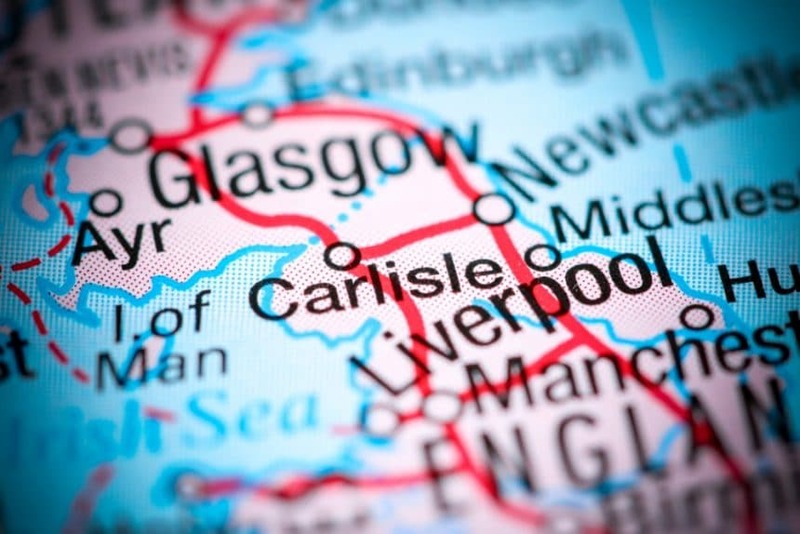 Carlisle United were a destitute, Third Division North side who found it almost impossible to attract players due to their sheer remoteness; never mind their low league position. 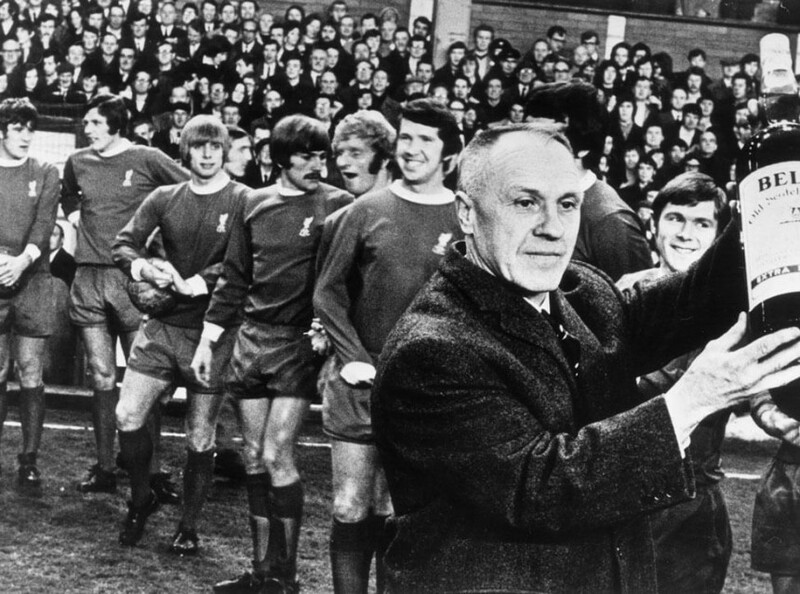 Nevertheless Shankly, ever the optimist, immediately turned the club’s remote location into an advantage and transformed Brunton Park into a fortress – as he did with Anfield years later. Shankly not only stabilised what was a sinking ship that season, but he also showed glimpses of the manager he would later become. Shankly would transform Carlisle United into a more professional outfit, a feat he would repeat years later when managing Liverpool in the Second Division. In his maiden season in charge, the Cumbrians finished 9th; a vast improvement on their 15th place finish a year earlier. Indeed, the next season saw ticket sales sky rocket as fans flocked to watch Shank’s team. The 1950-51 campaign saw Carlisle push for promotion, while a 0-0 draw with Arsenal in the FA Cup only stoked the fans’ excitement. However, a final placing of 3rd wasn’t enough for promotion and after a Brian Clough-esc squabble with the board, who had refused to pay out on bonuses promised should the team finish in the top three, Shankly resigned. The iconic Scotsman would go on to manage Grimsby Town, Workington and Huddersfield Town before arriving at Liverpool. That said, the lessons Shankly learned in Cumbria certainly shaped his career on Merseyside. Celebrate every Liverpool win at the stunning Shankly Hotel. 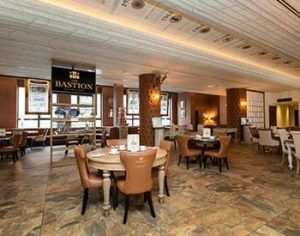 Immerse yourself in the beauty of the hotel while also making the most of the delicious Bastion Bar and Restaurant. Keep up to date with everything going on at the hotel by following The Shankly Hotel Facebook as we gear up to star in our very own BBC documentary. As the season enters its penultimate chapter Liverpool look in prime position to mount one final assault, one last hurrah. If that’s the case, we at The Shankly Hotel have decided to throw an enormous party on May 12 if Liverpool win the league; because where else would be better to celebrate such a mammoth and wonderful occasion. 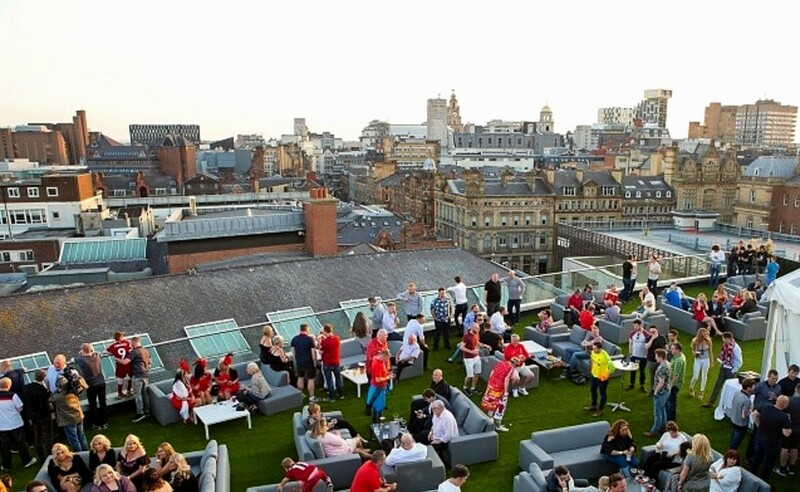 Prepare for a party of epic proportions on The Garden of Eden terrace within The Shankly Hotel if Liverpool can come out on top in May. Picture the scene: the sun is ablaze, the unbroken stream of beer hasn’t stopped for hours, we haven’t been home since the final whistle was blown, oh, and Liverpool are Premier League champions – sounds incredible doesn’t it. We hope to replicate scenes such as these when – sorry – if Liverpool win the league in May. They’ve come close before, so close in fact that we counted down the best Liverpool teams never to win it, but on this occasion it feels special, incredible almost. And, what could be a more appropriate way to commemorate such an achievement than to celebrate on top of a hotel that bears the name of Liverpool’s adopted son and iconic leader. 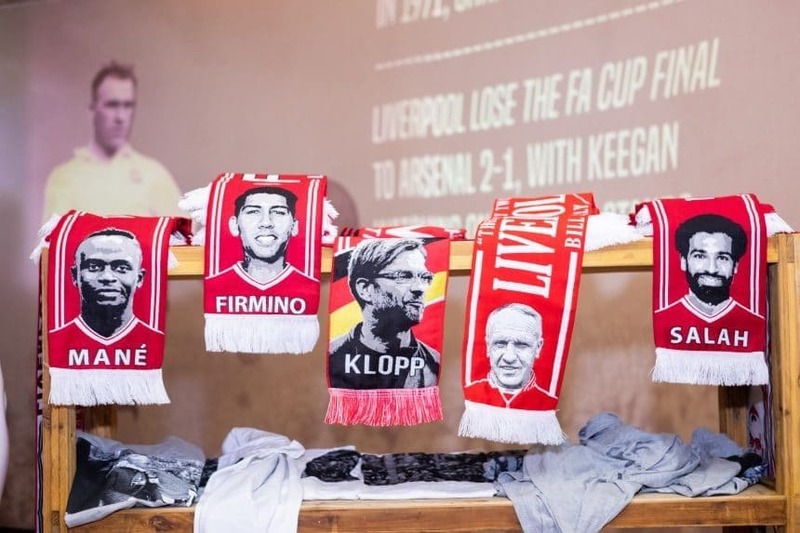 This massive event is to include a free bar and entertainment that wouldn’t look out of place in the bowls of the Kop; so, prepare for a soundtrack of Liverpool’s most loved chants on May 12. Come that momentous day in May, our party could perhaps be a less nervous occasion as the Reds may have been crowned champions by then, or, everyone may be on the brink of a breakdown as the final whistle is blown. So, be prepared to either lessen the pressure or simply continue the celebrations which started way back when Liverpool tore up the history books. So, what makes The Shankly Hotel the perfect place to host such an important party? 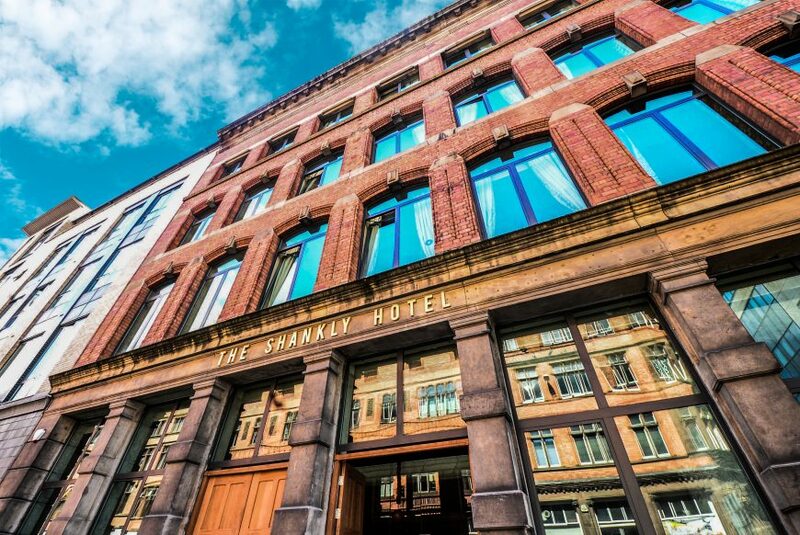 The Shankly Hotel is the number one destination in the North West for any Liverpool fan. 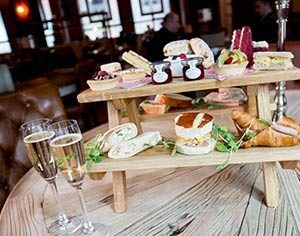 We pride ourselves on our electric matchday atmosphere, in addition to superb drinks deals, a unique environment that is sure to impress any Liverpool supporter and luxurious rooms that are perfect for weekends away with your mates. Dedicated to Liverpool’s iconic leader, The Bastion Bar and Restaurant is the best place in Liverpool to watch the Reds. 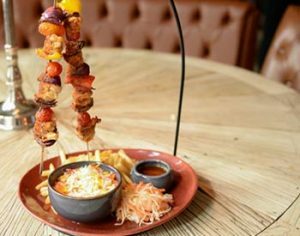 Located inside the spectacular Shankly Hotel, this wonderful restaurant enables diners to delve deeper into the personal and professional escapades of the ex-Liverpool boss. To complete this picture of remarkable opulence, the party is in The Garden of Eden within The Shankly. 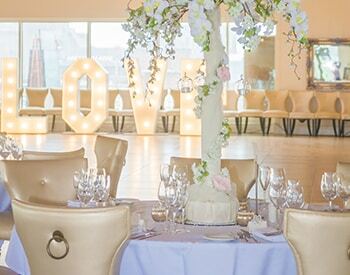 This beautiful venue is unlike anywhere else as it boasts some of the most wondrous views of the city. Indeed, where would be more appropriate to toast Liverpool’s success than a venue which overlooks the city that shares their name. Shed a tear on top of The Shankly as there will be no more worlds to concur when Liverpool win the league. We hope that Liverpool can be crowned champions this summer so we can throw our epic party on May 12. We hope to have more information about the event soon, so keep an eye on our Facebook and be ready to celebrate come May. The BBC is set to release a full-length Bill Shankly Documentary before the end of the year, exploring the life and legacy of Liverpool Football Club’s most famous manager. Bill Shankly was a hero to many people across the city and the film will look at his career and his goal to make Liverpool a ‘bastion of invincibility’. Shankly: Nature’s Fire finished filming at the end of May this year and is due to air within a few months. The Scottish manager was a true character on the streets of Liverpool and the new documentary will follow his story from start to finish, showcasing his charisma, strength, uniqueness and charm. The Bill Shankly Documentary has received a great amount of support from the footballing community, with former players from Scotland and Liverpool Football Club acting as contributors. His family, fans and journalists, including Sports writer Hugh Mcillvanney and Trainspotting author Irvine Welsh, have also taken part to make this the best tribute to the legend himself. The film was two years in the making and Peter Hooton, producer of the film and lead singer of local band The Farm was determined to do the story justice. He said: “Shankly epitomised a different set of values that I think are still admired to this day. I agreed to be involved in the making of this documentary because Shankly was my boyhood hero”. Shankly: Nature’s Fire will feature archive footage and interviews with those who knew the man best, footage from matches and from his day to day life to give a great representation of the personality and charm that the man himself was known for. Bill Shankly was the saviour of Liverpool football club, he took the club from a dwindling position in Second Division to a team that had a trophy cabinet to be proud of, as well as a solid place in First Division. His now legendary quote, “my idea was to build Liverpool into a bastion of invincibility. My idea was to build Liverpool up and up until eventually, everyone would have to submit and give in’, epitomised his attitude and determination to turn the club around. He wasn’t always about the football, he was a stable family man who was loved by the community and his relatives alike. His grandson, Christopher Carline, credits his Nan, Bill’s wife, with the success and unfaltering determination of his Granddad. Agnes Wren Shankly supported the Scottish native through everything and is an icon and role model for the modern-day WAG. 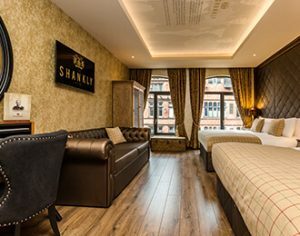 The Shankly Hotel was a collaborative effort with the Shankly family to bring the people of Liverpool a lasting tribute to a Liverpool legend. Offering fans a journey through the life and career of the man who changed the face of Liverpool’s football, The Shankly Hotel is a truly unique hotel and dining experience. From letters penned by Shankly himself to handwritten tactic sheets to private memorabilia, The Shankly Hotel is a one of a kind tribute to the man who was made for Liverpool. 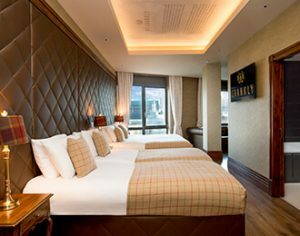 Call and book your visit today on 0151 601 8801 or email info@signatureliving.co.uk and start planning your stay at The Shankly Hotel today. When the Christmas celebrations come to an end, it’s inevitable for the January blues to creep in. 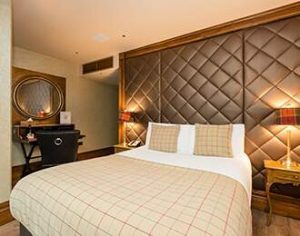 So, if you’re falling into that post-Christmas slump, why not make the next month more memorable than miserable at the stunning Shankly Hotel? 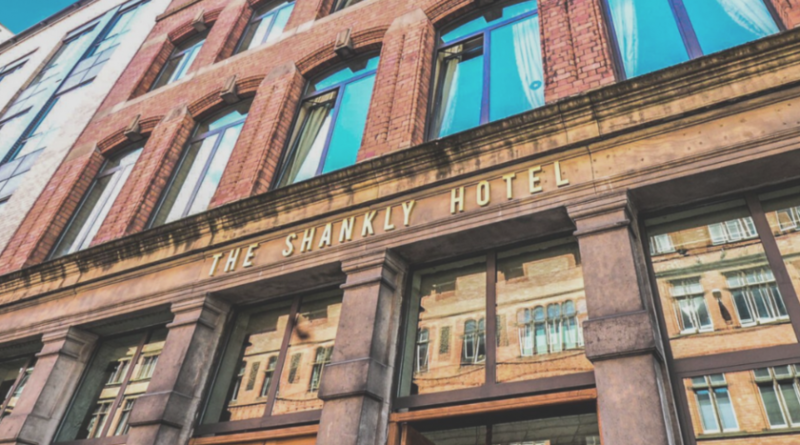 Whether you’re looking to book your first stay with us, searching for group accommodation in Liverpool or you’re simply planning your return, we’ve compiled some of the Shankly’s top features so that you can make the most of your next visit from check in to check out. What sets us apart form other hotels across the city is our luxury rooms and studios, equipped with high-quality features. 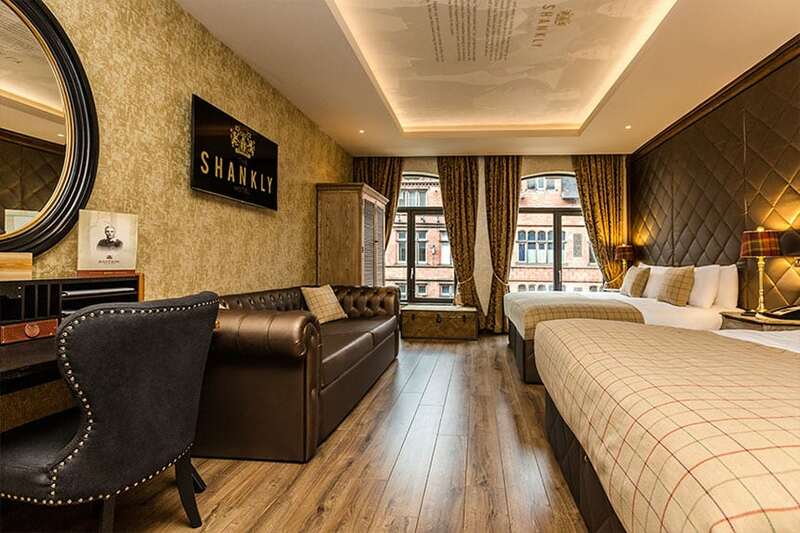 Designed to suit both couples and larger groups, rooms and suites at the Shankly include comfortable double beds, whirlpool Jacuzzi baths for calming your mind and of course, free WiFi to enjoy at your leisure. The décor and design evoke a nostalgic ambience with modern twists, capturing the story of footballing legend Bill Shankly’s life with a sleek and stylish finish. We understand that wining and dining are two of the most important parts of any getaway! 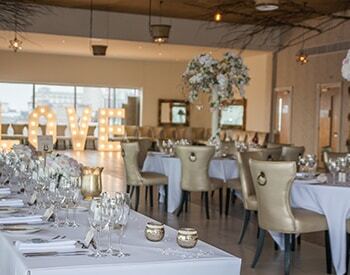 That’s why The Bastion Bar & Restaurant offers a unique space for our guests to enjoy a delicious range of food, timeless wines and much-loved cocktails at 2 for £10. At the Bastion we have something for everyone. 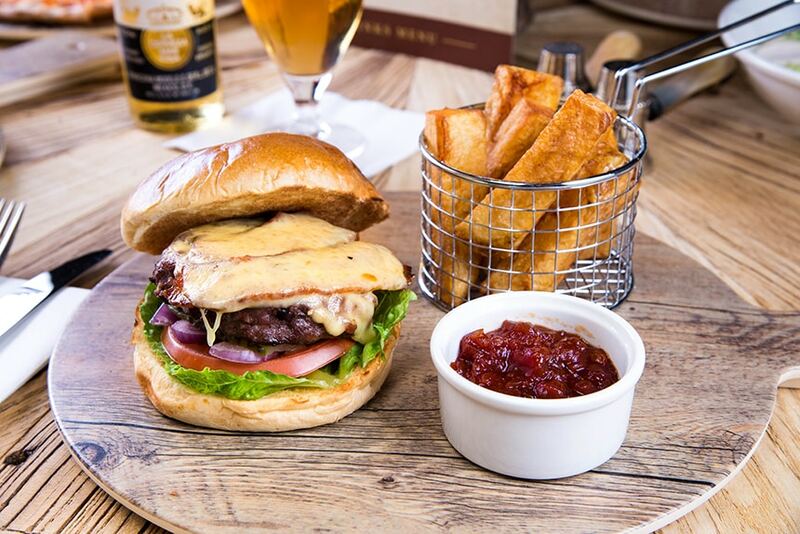 Our carefully crafted menus offer a variety of dishes, including our famous Shankly Burger, Homemade Beef Brisket Hash and lighter options including our refreshing Halloumi and Artichoke Salad. Not forgetting, you can choose from unmissable desserts featuring our Selection of Local Cheeses, tasty Coffee and Walnut Cheescake and dreamy Baked Chocolate Fondant. You’ll leave feeling replenished and ready for a busy day of exploring or a cosy night in. Undoubtedly one of the biggest attractions of our hotel is our one of a kind theme. 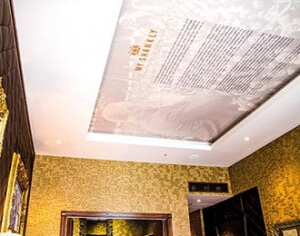 Overnight guests and restaurant visitors can take advantage of the exclusive Bill Shankly memorabilia interwoven thoughtfully around the hotel and restaurant area. Received from the Shankly family themselves, our memorabilia displays feature Bill Shankly’s original LFC contract, beloved typewriter and even letters from fans. So, if you’re a football fanatic yourself or someone special springs to mind, January is the perfect time for treating yourself or a loved one to an unforgettable break. While everything you could hope for can be found within our hotel, we know many of our guests enjoy exploring Liverpool’s world famous sights and hidden gems. Located on Victoria Street, we’re right in the centre of the city’s vibrant nightlife, array of shopping areas and restaurants, and we’re even within walking distance from the incomparable Albert Dock. 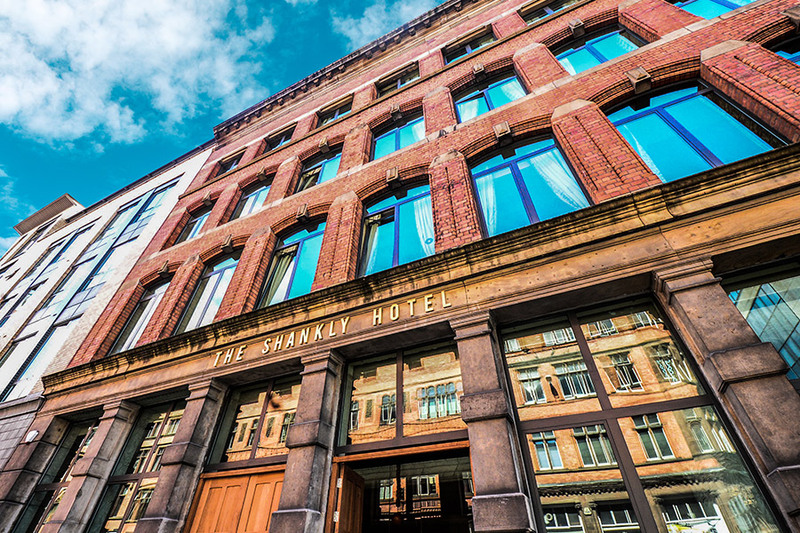 So whether you fancy hitting Liverpool One’s shops, drinking in independent bars loved by locals, or soaking up some history in The Beatles Museum, we can guarantee that the Shankly is the perfect place to rest your head after an exciting day of adventure. To make your January memorable, you can book your stay today! Bill Shankly is often referred to as one of the greatest footballing managers of all time. He transformed Liverpool Football Club and coached some of the most famed players in the world ensuring he is celebrated by fans for an eternity. Earlier in the year, we set out on a quest to find Shankly’s Greatest XI, made up of former players from his 15 years at LFC. We wanted to bring these iconic men together to celebrate Shankly and all he did for football and the Liverpool community. Using a 4-3-3 formation, we asked the public to vote in players based on positions, over the course of a few weeks, the votes poured in and we eventually found Shankly’s Greatest XI. Players included Lawrence, Lawler, Smith, Yeats, Hughes, Callaghan, Hall, Thompson, St John, Hunt, Keegan. Roy Evans was also in attendance as an original member of the boot room. On Thursday 8th December, we hosted an incredible dinner in the beautiful Garden of Eden at The Shankly Hotel where these former players along with the families of Emlyn Hughes and Brian Hall were in attendance. 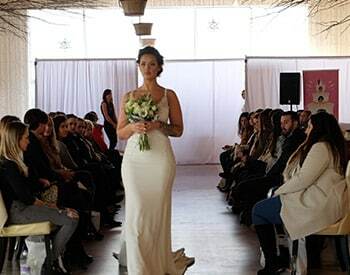 Members of the public were able to buy tickets to the event with 330 people overall enjoying this remarkable event. 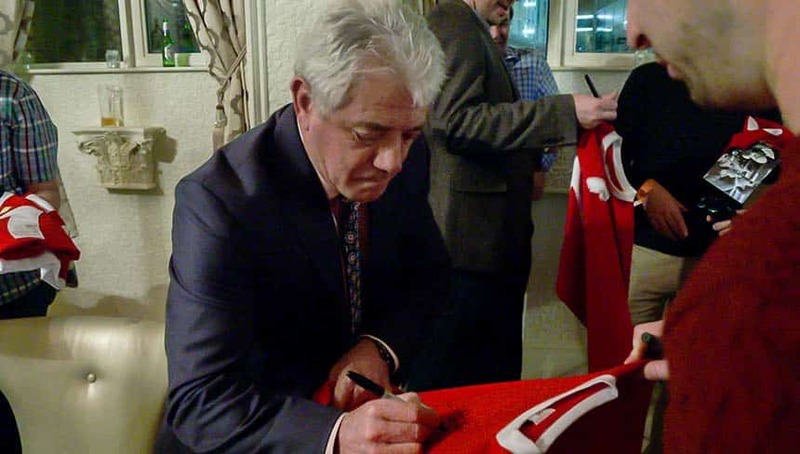 Each former player was formally inducted into the XI with Kevin Keegan himself hosting the evening and welcoming each player. 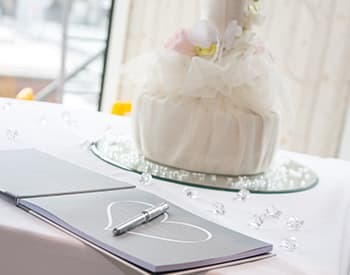 Guests had the option to book specific tiers depending on what they wanted their ticket to include, for those with a red tier ticket, they were invited to a private meet and great with the players in Baby Eden before the main event. As well as a delicious three-course meal, there were lots of old stories shared around each of the tables with unique tales from the former players, Shankly’s grandson Chris Carline and live entertainment. There was furthermore a silent auction which saw memorabilia such as a Luis Suarez signed shirt and signed Steven Gerrard Boots and framed photographs. It was a memorable night and absolutely incredible to have all of these amazing players in one place. We’d like to thank all former players who were in attendance and we hope to be hosting more events like this in the future.